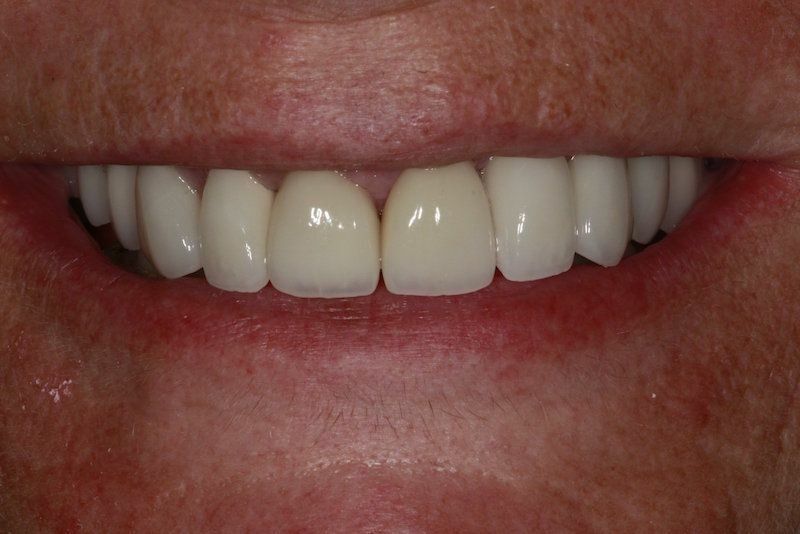 Smile makeover with crowns and veneers. A new smile is life changing. 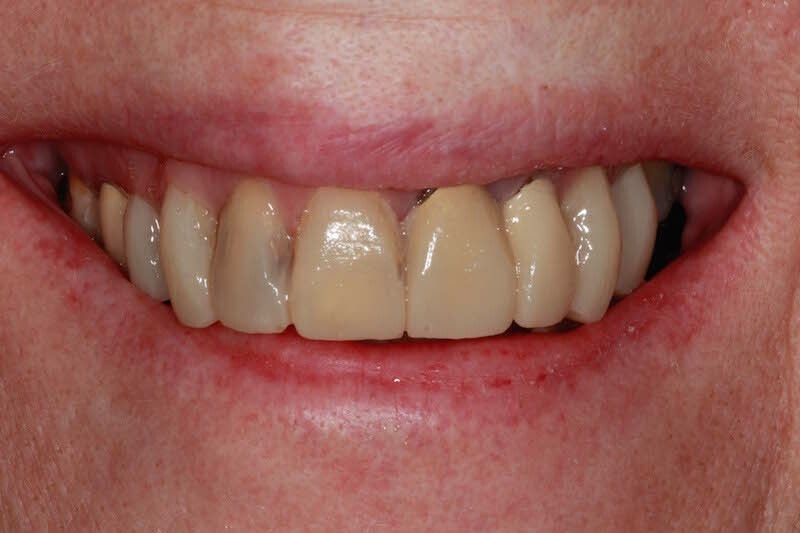 If you have missing, crowded or crooked teeth, we transform your precious teeth into a smile you’re proud of. Our patients are only too happy to share their experiences. 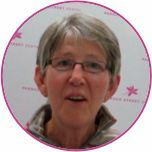 Here are some of our patients stories, including before and after photographs. 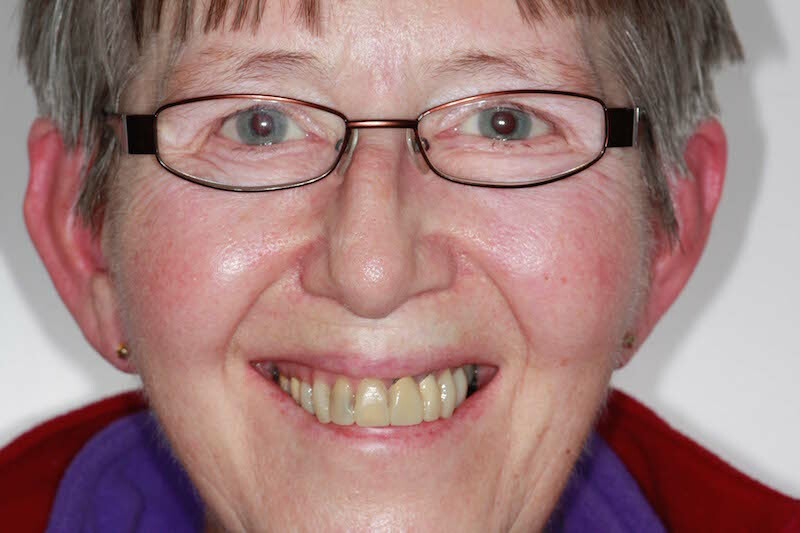 Sue wanted a smilemakeover to improve the colour, position and overall shape of her teeth and gums. 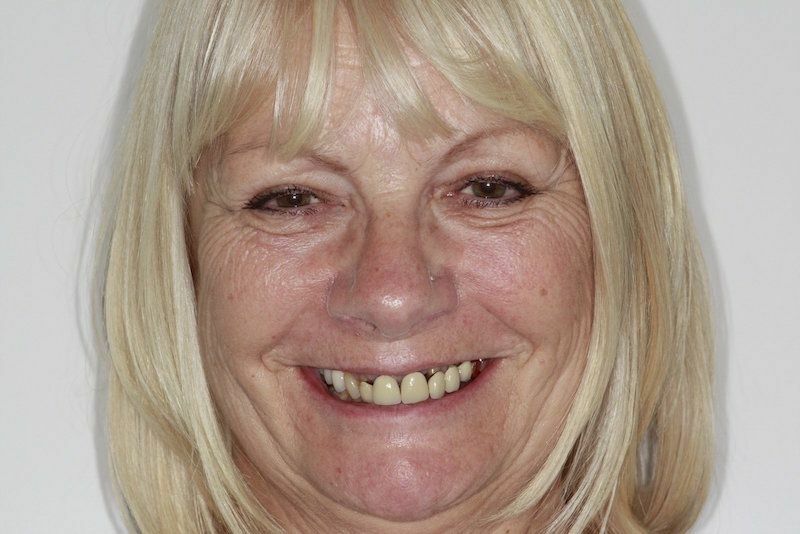 After gum contouring and a combination of crowns and veneers Sue is absolutely delighted with her new smile. 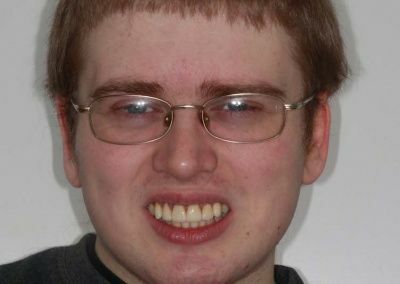 She can’t stop talking about how good her teeth look. 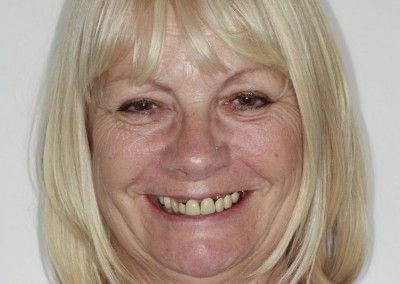 Frances was very unhappy with the overall appearance of her smile, especially the discolouration and that you could not see the back teeth. 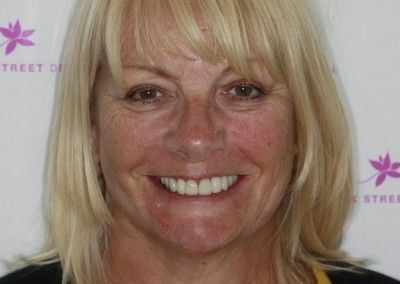 She is very happy with her smile makeover by Rik. 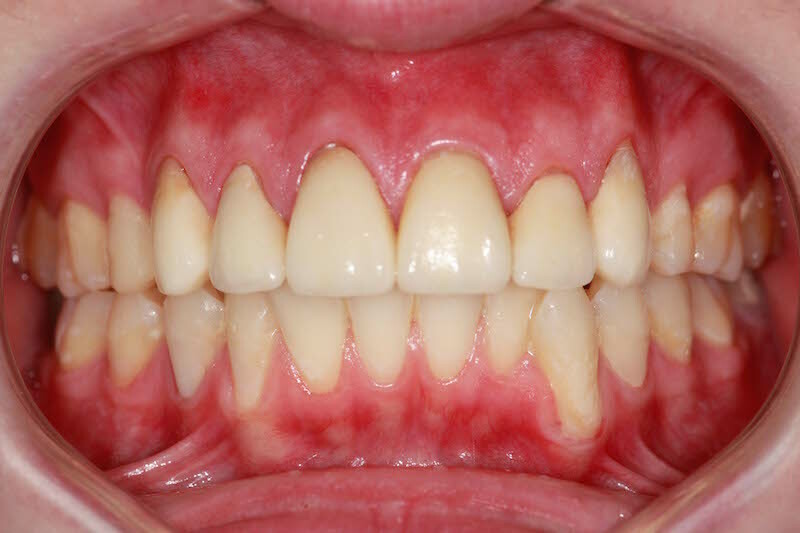 Problem: Dental phobic with past bad experience, not been to a dentist for many years. 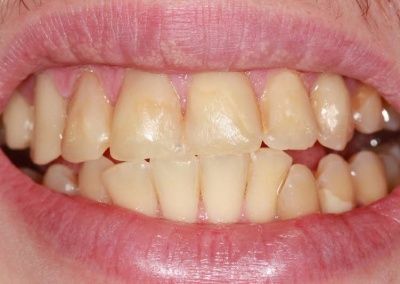 She had extensive broken and decayed teeth with gum disease. Emma had not been to the dentist for years due to being afraid after a very bad experience in the past. 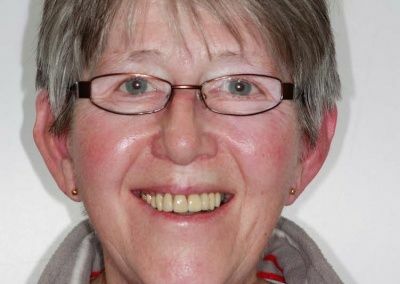 She was very unhappy with her smile and appearance leading to a loss of confidence and social isolation. 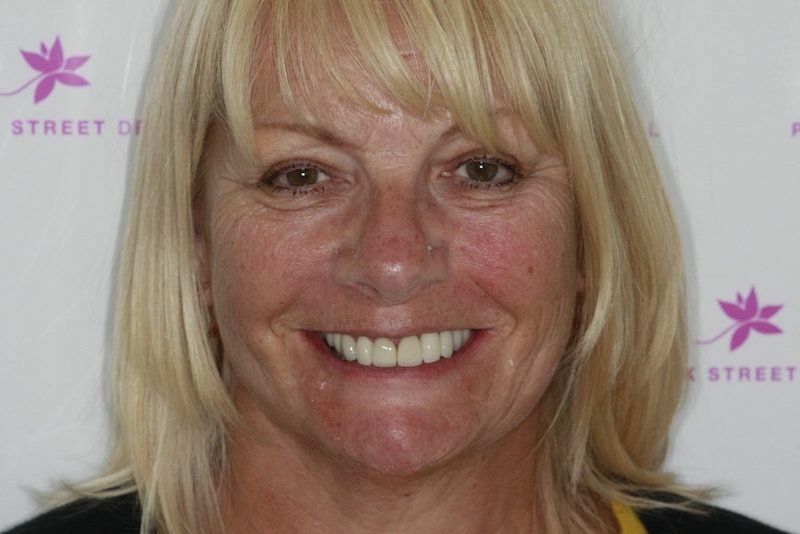 After an initial consultation with Rik, she felt very comfortable and proceeded with a life changing smile makeover. 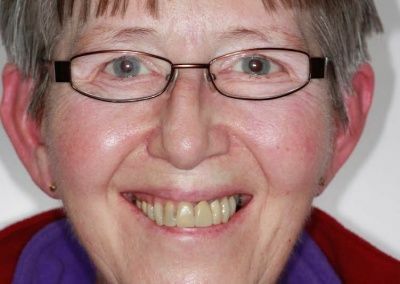 Sue was very unhappy with the colour and black lines of her front crowns and the general appearance of her crowded teeth. 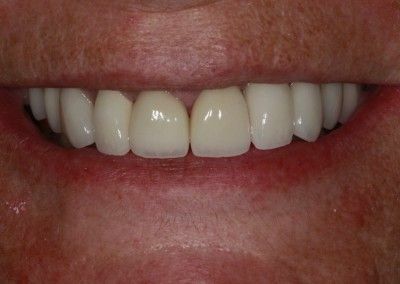 She requested a full smile-makeover and is very happy with her new smile. 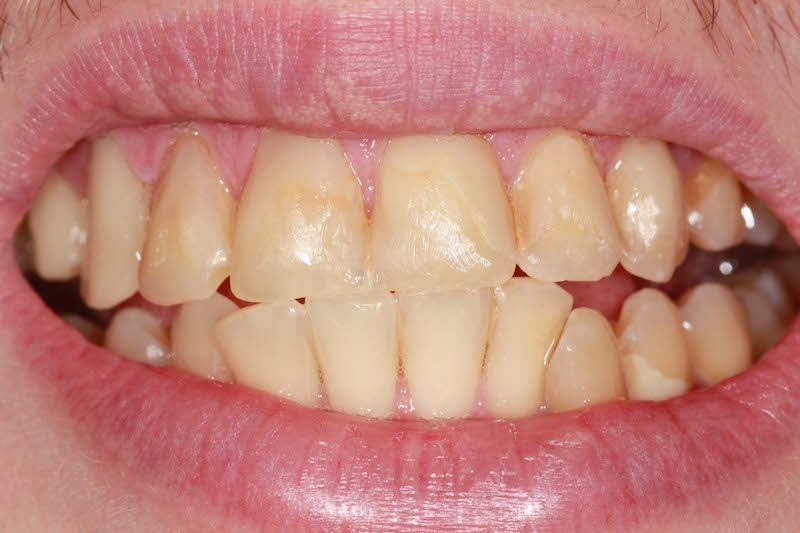 The patient was concerned about the appearance of his teeth and especially unhappy about the existing restorations carried out at his previous practice. 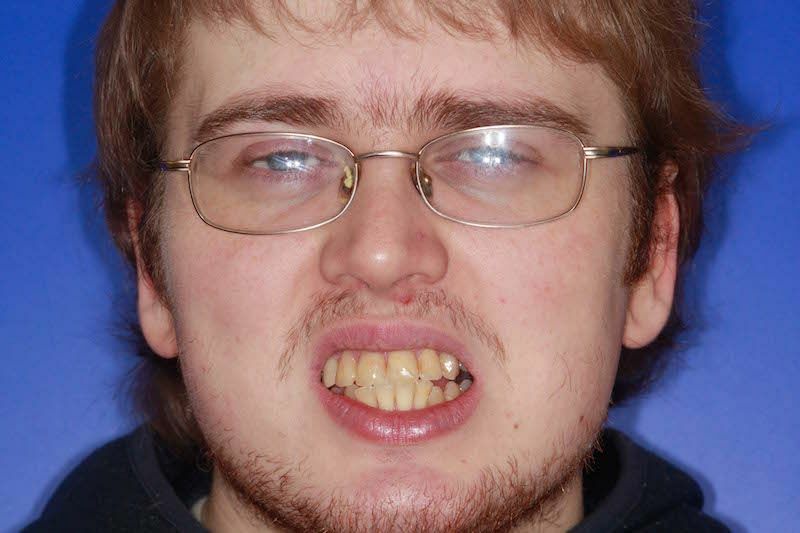 Plaque build up around his gum and decaying teeth caused sensitivity and discomfort. Due to infection, root canal treatment was carried out. 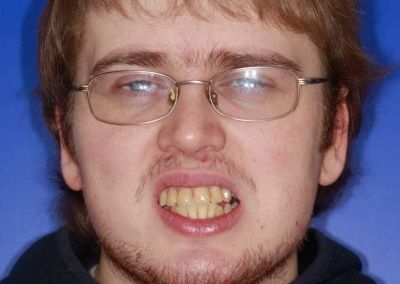 Using crowns and veneers he is smiling again!!! 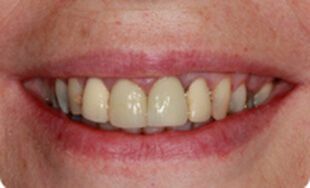 Crowns in wrong position which are discoloured and leaking, the patient was reluctant to show her smile and so her bubbly personality had to take the backseat! 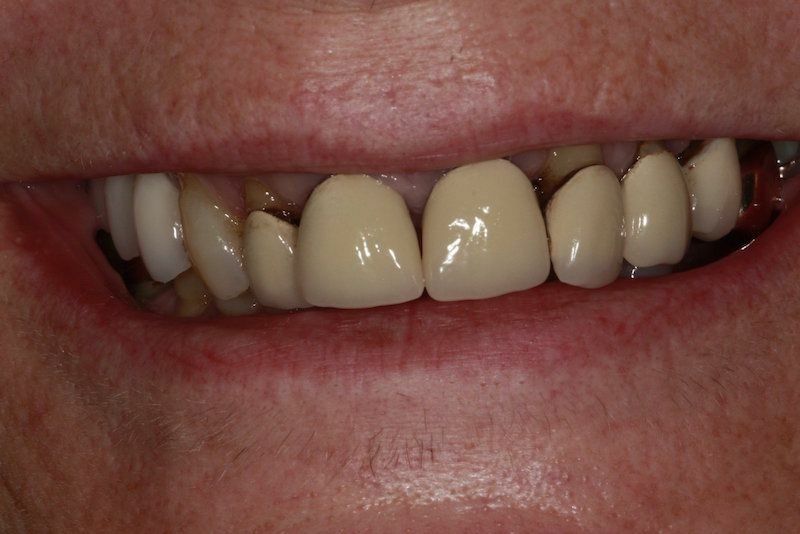 Her comfortable treatment involved a new smile design tailored to her wishes! 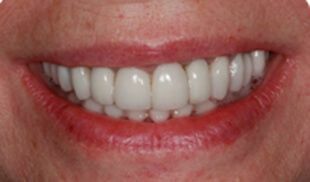 Temporaries were placed, and after the patients approval her smile was completed. 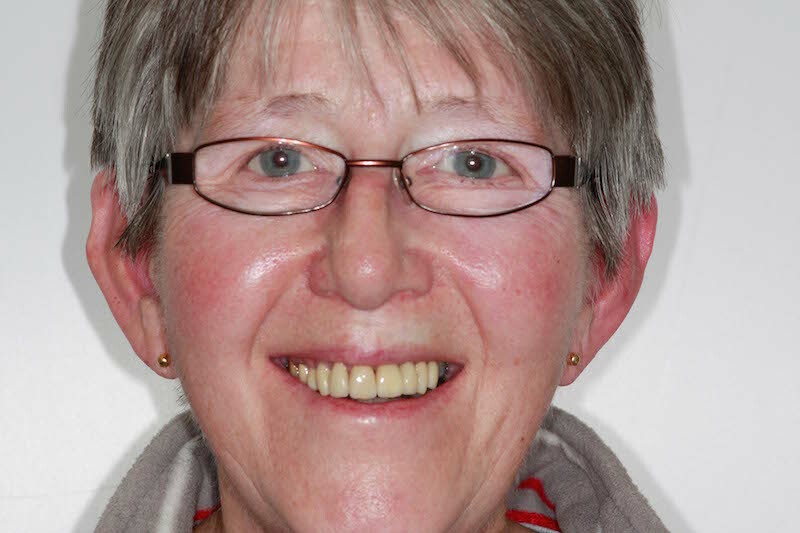 Susan attended Parrock Street Dental and Implant Centre as recommended by her father. She was very shy and introvert due to a lack of confidence. 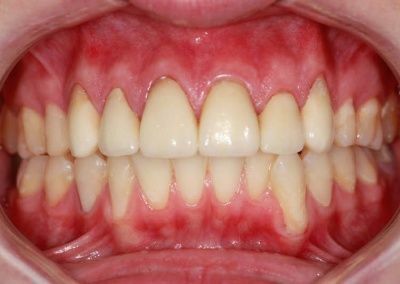 She was very unhappy about her smile with crowding, discoloration and baby teeth remaining. The final straw was when she saw her baby son’s christening photos and how depressed she looked. She always wanted the smile of her dreams and now she has it. Before at her initial appointments she started every sentence with a Sorry… and was very introvert. She is now a confident bubbly happy person. 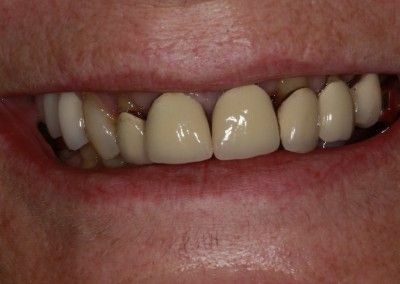 This lady requested an improved smile and replacement of her upper partial denture with fixed teeth, namely crowns and bridges. 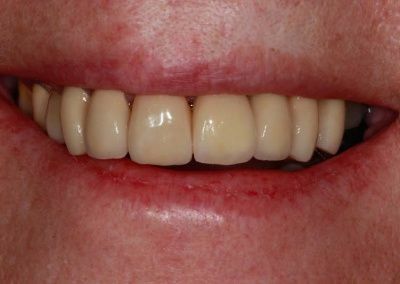 The teeth were suitable for this purpose; the patient was amazed at the result. 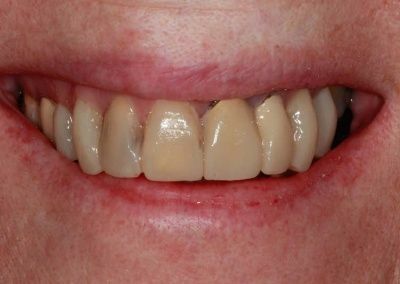 Keith had severely crooked lower teeth and heavily discoloured and filled upper teeth which made him not want to smile due to low confidence. 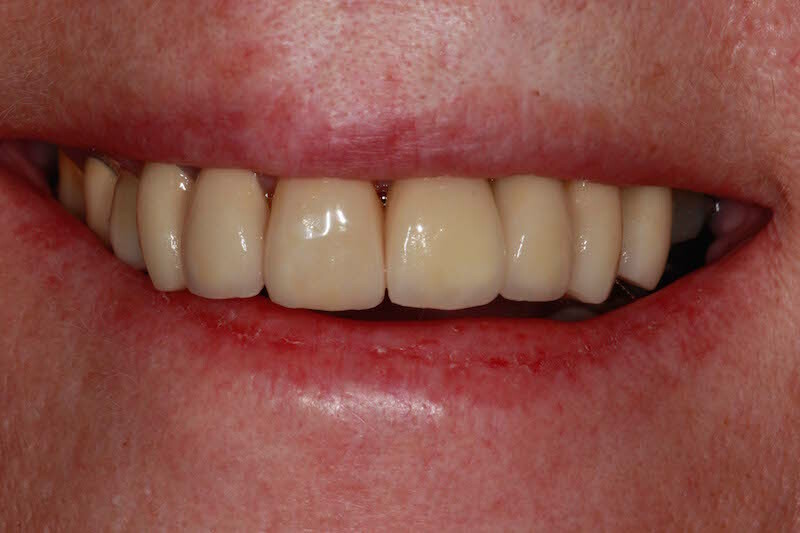 He had cosmetic dental treatment including veneers on the top teeth and a lower clear fixed brace on the bottom which made him smile again in just 8 months!